Tribal Woman – A Community for Women Entrepreneurs… In the last few years I have been attracting wonderful women into my life. I have the internet to thank for that. Never did I imagine that I would become good friends with so many of you from around the world. I never imagined that so many of us would meet in person and become “real world” friends! Last summer I was in the middle of writing my second book that included a chapter on the importance of community and why we still need to be part of a “tribe”. I began dreaming about creating a community where all the wonderful women I know can gather and support one another on this beautiful journey called life. The Tribal Woman digital magazine and website is the realization of that dream. My hope is to inspire you to live a life fulfilled, one where mind, body and spirit come together in perfect harmony so that each of us can live life to our highest potential. As always with life, we have to roll with the changes! 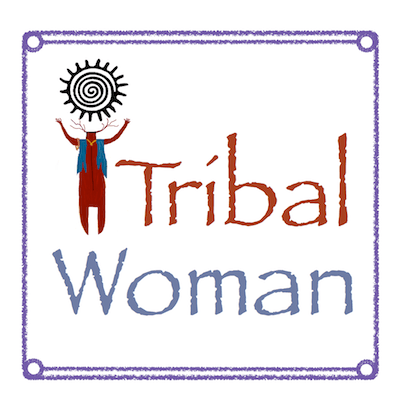 I LOVED being the editor of the Tribal Woman MAgazine because of all the amazing women I met. I think I would have kept it going forever if I wasn’t hit with a “double whammy”. First, I stepped out of my business for several months when my father-in-law was in a car accident and suffered a brain injury. The magazine, which was very labor intensive because of all the interviews, writing, editing, etc., fell by the wayside. When I was ready to revive it, the second whammy hit! Second, the companion website for the magazine, TribalWomanMagazine.com Twas “deindexed” when google decided that they didn’t like sites based on guest posts. Since part of the purpose of the magazine and website was to feature women entrepreneurs, we had a TON of guest bloggers! My heart was a little bit broken and I had to walk away and let it go. Such is life’s journey, filled with many roads always needing to be navigated!